Just wanted to share my grandsons first squirrel-first game animal. He loves to camp and has wanted to hunt, so he was pretty excited about hunting "with the men". Sure beats the heck out of video games. Now he wants to go again and get more squirrels and a rabbit, too. The rifle is a Marlin .22 LR, model 915YS. It's a single shot with a very good factory trigger. My next job is to put a 2-7 x 32 scope on it. Congrats . 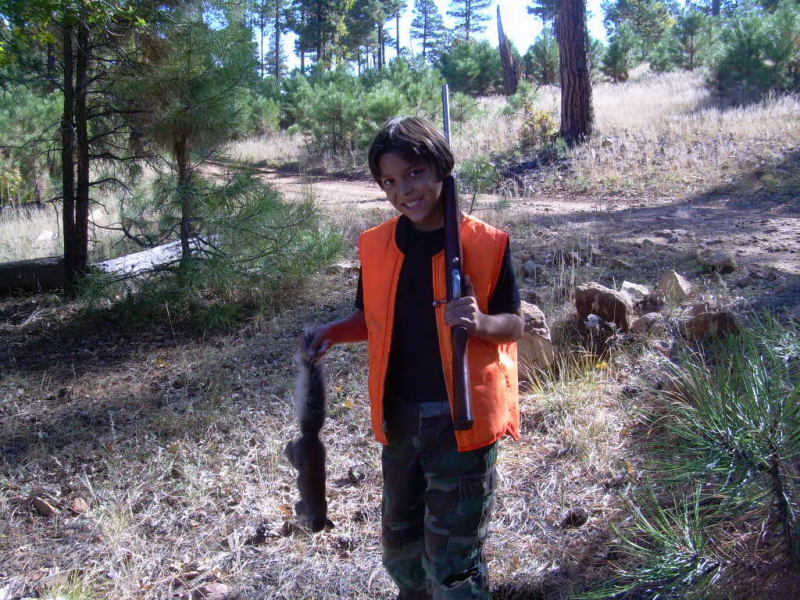 Glad to see kids getin into hunting. Thats awesome mate. I can just recall having the same look as on my dial the first time as your grandson does.....that "YES, I'm the greatest hunter ever" sh#t eatin' grin. As Joe said...great to see the kids getting out there and getting into a bit of hunting. Congrats to your GS, and to you! And a Squirrel stew is onna the best meals he'll have!! The best .22 to learn on for a yungster is a single shot. Makes them better shots when they graduate to repeater or semi-auto. Where is this picture taken at?